The Isle of Wight is probably one of the best places in the UK to relax and in fact retreat from the world for a while. With its coastal paths, Downs, woodlands and beaches, visitors are spoiled for choice for places to while away hours. Here at Northcourt we have just the right sort of atmosphere and loads of room for whatever sort of retreat might take your fancy. With fifteen acres of gardens, a paddock and a function room which is over 10 metres long, you can retreat al fresco or undercover if the weather isn’t being kind. We’ve hosted all sorts of retreats here and our rural setting with its beautiful gardens and peaceful surroundings provide the perfect backdrop to whatever you may want to do. Yoga perhaps? Or a bootcamp for a week? Or healthy eating or a meeting of nature lovers, or poets, or artists or foodies or culture vultures, anything really – within reason of course! All you need to do is get your group together. Northcourt House (the north wing of the Manor) and Little Northcourt (the west wing) each provide self-catering accommodation for up to 19 or 14 adults or over 36 people if they are rented together so there’s plenty of room for a crowd of retreaters and all the facilities to cook and enjoy spending time with like- minded people. 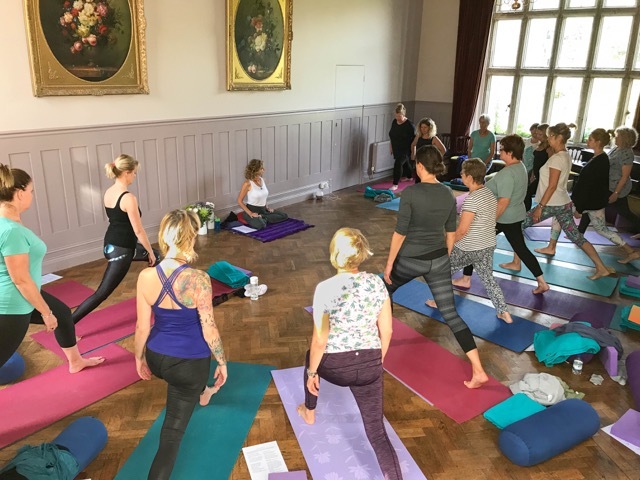 We are specialists in looking after large groups and our Jacobean manor house in lovely Shorwell at the heart of the Island is also within walking distance of The Crown should your willpower desert you after day two of bootcamp or healthy eating! Please look on the calendar for availability or give us a call to discuss your specific group needs and we’ll be pleased to help. You are only limited by your own imagination so plan your greatest retreat ever.